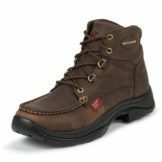 The Briar Pitstops Waterproof is a 5-inch tall men’s lace-up casual boot crafted for durability and comfort. The brown leather exterior is waterproof features brass hardware for the laces and a rubber outsole that provides traction on various surfaces. 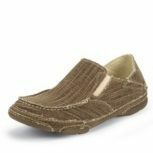 The orthotic insole guarantees comfort no matter what the day brings your way.